The winter season from January through March makes the big difference. In Okinawa, it’s considered off season while Hawaii has the season all year around. From April through November, the number of visitors to Okinawa is actually higher than Hawaii. Last December, Okinawa had a record 747,000 visitors, but Hawaii had 910,000 visitors on the same month. Okinawa tourism officials had some possible explanations, like Okinawa endured a measles epidemic last year that led to some cancellations of group travels. Typhoons also were causing problems. 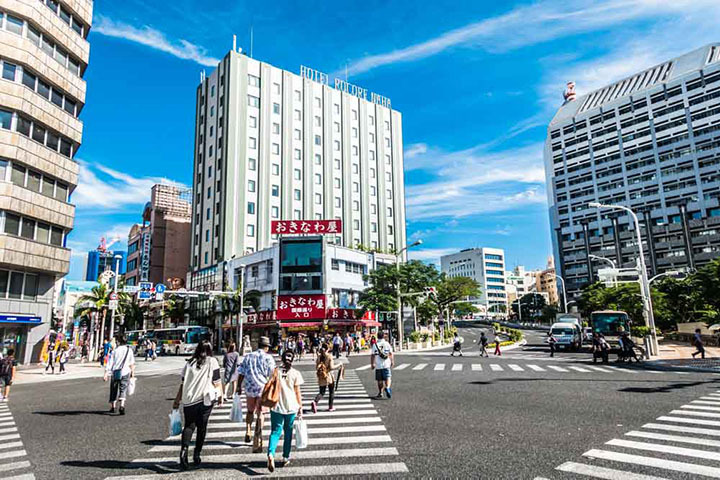 The Okinawa Prefecture Department of Culture, Tourism and Sports said that the impact of natural disasters and lack of tourists during the winter are an issue considering the warm weather in Hawaii throughout the year. They say that Okinawa is also still lacking in quality. “We can’t do anything about weather and natural disasters, but we consider Hawaii our best rival and want to build a relationship to resolve same problems we both share,” as an official at the department put it.